As members of Montreal’s media, we have seen our fair share of wild moments. From restaurant openings to summit views we get to experience the full extent of almost everything our city has to offer. 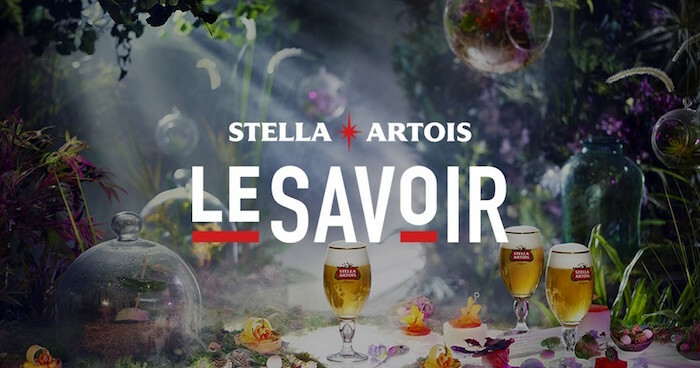 When news of Le Savoir, a multi-sensory event sponsored by Stella Artois, first arrived, it was touted as a not-to-be-missed event. Leading up to Le Savoir, details were scarce and expectations soared sky high. Last night we gathered at Usine C and experienced Le Savoir first hand. Here’s what we saw, heard, tasted, touched and smelled throughout the evening. If you don’t want the night spoiled, do not read any further. After a brief beer cocktail on the red carpet we were ushered down into the basement of Usine C where a cold blast of winter air hit like a welcomed ton of bricks. Had I know what was coming I would have loitered a little longer in the cold. We snaked our way though a maze of laser lights and smoke and headed upstairs into a world filled with fairies that fed us spice infused tomatoes picked right off the plants. This got people talking. The scene was set in what appeared to be an old library or a study that been taken over by nature and the Master Brewer. We mingled here for a few moments before heading into a dining room unlike anything I’d ever seen before. 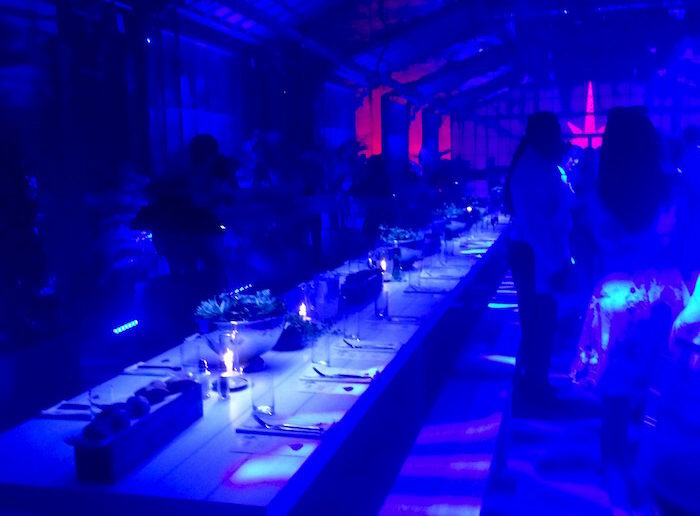 Two long tables were housed in a “greenhouse” that looked out onto an endless field of green grass with rolling hills in the distance. Covered in vines, the greenhouse was actually a series of screens that projected the four seasons of the year around the tables. With each passing season the scenery changed, grew, blossomed and died before our eyes. From a technical standpoint, everything I saw was very impressive. This will surely wow everyone that walks into the room. Taking our seats, we were served a meal of Asian style crispy pork flank, a seven spice pork, Chinese broccoli, sticky rice and grilled pineapple with ginger and a prune sauce. For dessert we were served a honey gelatine with goat cheese, crispy granola and a berry compote. Deciding to serve pork en masse was a bold move but there’s a vegetarian option as well for those who are not fans of the meat. Set up for Le Savoir started almost a week before the event opened and pre-production, we were told, started months earlier. A lot of very hard work went into impressing our senses and they certainly hit their mark with set design. The costumes were over the top and may have even been a little too much but they did work well within the decor. The actors commitment to their characters at all times and once you got past the weirdness of it all, it was fun to drift into this magical world where Stella Artois beer taps and bars fit easily into an ethereal decor. 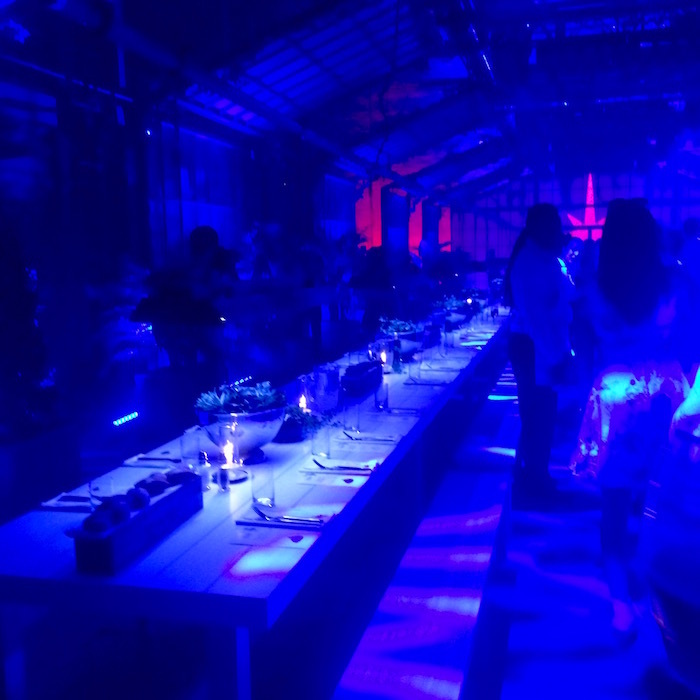 At times during the dinner, a procession of actors walked up between the two tables and I felt we had spilled over into a little cultish territory. It was distracting and strange. The whole production reminded me of Shakespeare’s A Midsummer Night’s Dream as we slipped from reality into this underground world. So much time, money and energy was spent on creating this world that the connection to the product, Stella Artois, got lost in the details. Obvious branding aside, any product could have been substituted for the beer. The disconnect between Stella Artois and the story was so clear that we were left questioning what the beer had to do with the night. What does Stella Artois have to do with the four seasons? Was the meal chosen because it pairs well with beer? Why is the event called Le Savoir? If it wasn’t for notes in our little booklets, a lot of plot holes would have been left unfilled. Important details such as where the story takes place and why are listed in the booklet but were not obvious to us, the guests of the Master Brewer. It turns out that this Master Brewer has a big sensorial party in his house once a year on a special day. For those of you going to Le Savoir over the next few days, be prepared for massive heat. Without any air conditioning in the dining room, the heat rose to almost disastrous levels (those poor actors in those heavy get-ups, oy-vey). The combination of over a dozen projectors and about 60-70 people in the room created heat that ended up distracting us from all the wonderful work that had gone into impressing us. One highly coveted air conditioner was working in the ethereal garden/study but that was the only relief we would have for the night. Heat under the plastic tents was also unbearable so I would suggest hanging out in the adjacent garden until your requested to enter the building. Le Savoir was a great idea on paper but somehow it didn’t quite work as well as I expected. There were elements that certainly impressed (I really enjoyed seeing everything set up for the first time, it was very cool) but overall the whole isn’t as great as the sum of its parts. It wasn’t the wild moment I was hoping for and maybe my expectations were too high. This is the first year Stella Artois has done something like this in Montreal and hopefully it will be a learning experience on the part of the people who planned the event. With a little course correction I’m sure they will please plenty of people and those people may even walk away wowed by what they saw. With a series of dates in Montreal, New York and Buenos Aires, there’s a lot on the line. Le Savoir runs in Montreal until August 11th.